"Lois Burns talks about her love of swing dancing." 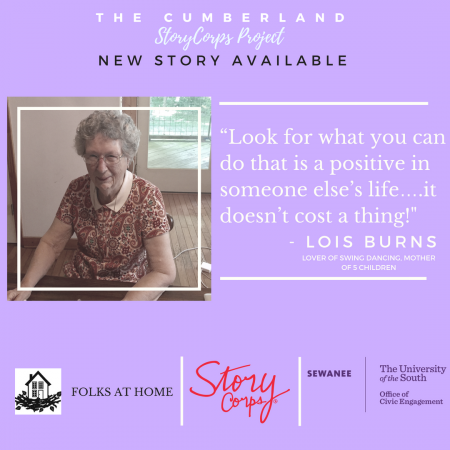 You may know 89 year old Lois Burns from being a friendly face at the Fowler Gymnasium front desk over the past 20+ years. Here she shares various anecdotes about coming of age in the era of swing dancing and big bands in Houston, Texas. Paired with her quick wit and humor, Lois relays her story of becoming a mother of 5.